The activities of Abba’s French record label Vogue are often overlooked in both accounts of the group’s success and their discographies. This is hardly surprising given that the group’s other European licensees included Epic and Polydor, both of which remain major record labels. Vogue being overshadowed is nothing new: most discographies have to go to great lengths to differentiate the French label from a US label of the same name. Vogue’s catalogue is now controlled by Sony Music. 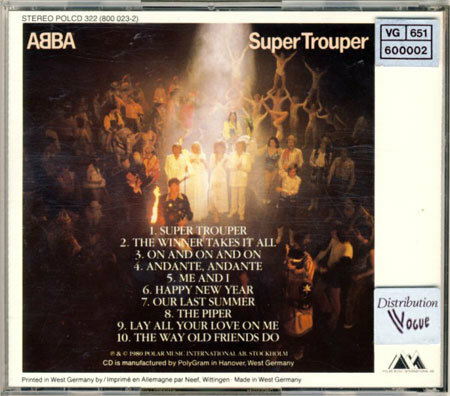 Anyway, in terms of CD issuing, Vogue was responsible for two relatively rare Abba titles. This is somewhat surprising given that for the early years of the format, it simply copied what other licensees did: import Polar CDs made by PolyGram in West Germany and add a few stickers to their packaging. 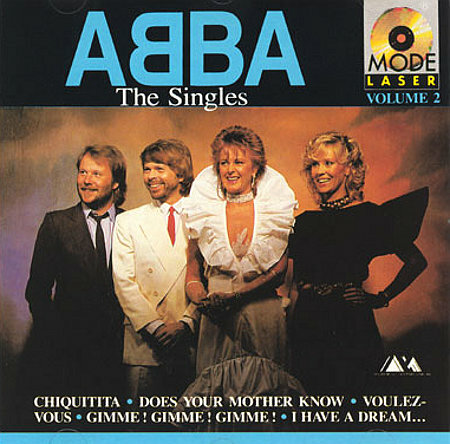 Then, in 1989, it issued one of the strangest European Abba CD releases – a two volume edition of The Singles: The First Ten Years. Up until that point Vogue has sold the standard double-album version imported from West Germany but it now decided to split the album into two volumes and manufacture the discs itself. The Singles Volume 2: pointless repackaging? It’s unclear why it embarked on this course of action – the double-album was still readily available. That said the label obviously secured Polar’s approval for the release. 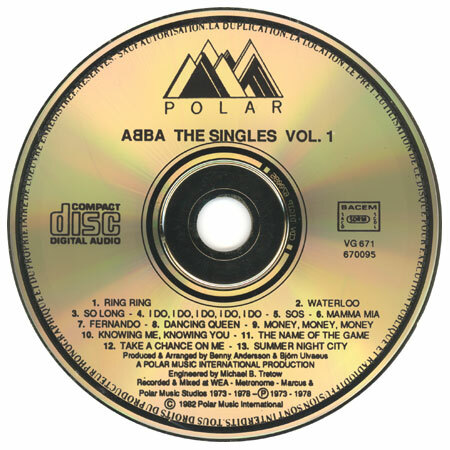 Both the CDs and the packaging on the two volumes feature prominent Polar logos, something which was relatively rare among non-standard Abba CDs of that era. It was also pressed on gold CDs, which again was highly unusual at that time [and still is]. Despite this effort, the results appear to have been disappointing in sales terms and both CDs are rare outside France. That said, this lack of success was probably deserved – Vogue’s packaging was quite poor and its mastering was far inferior to the standard European Polar/PolyGram CD.